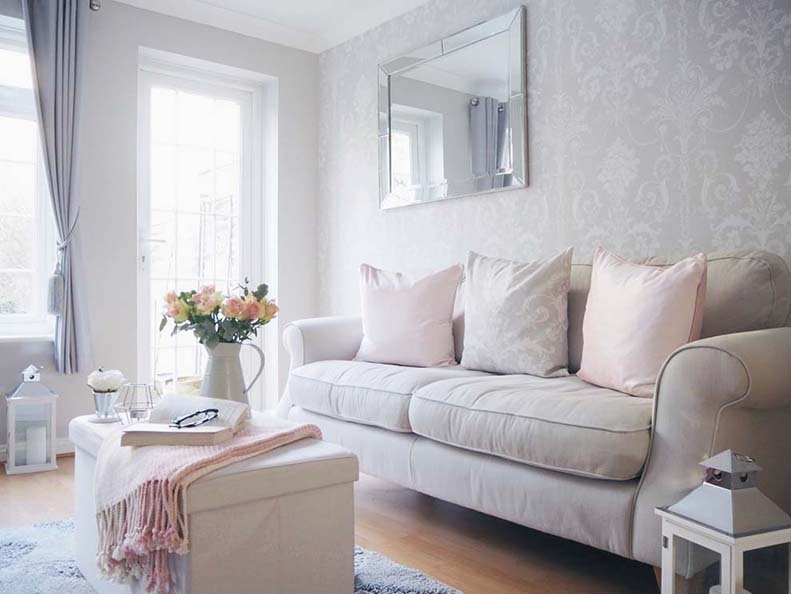 Prepare your home for spring with this living room refresh! With spring here, the lovely Charlotte from Life Simply Styled By Me shows us how she is preparing her living room for a refresh. Our living room is the heart of our home. It’s the place where we retire to after a long days work, the place where we relax with a good book and the place where family memories are made. 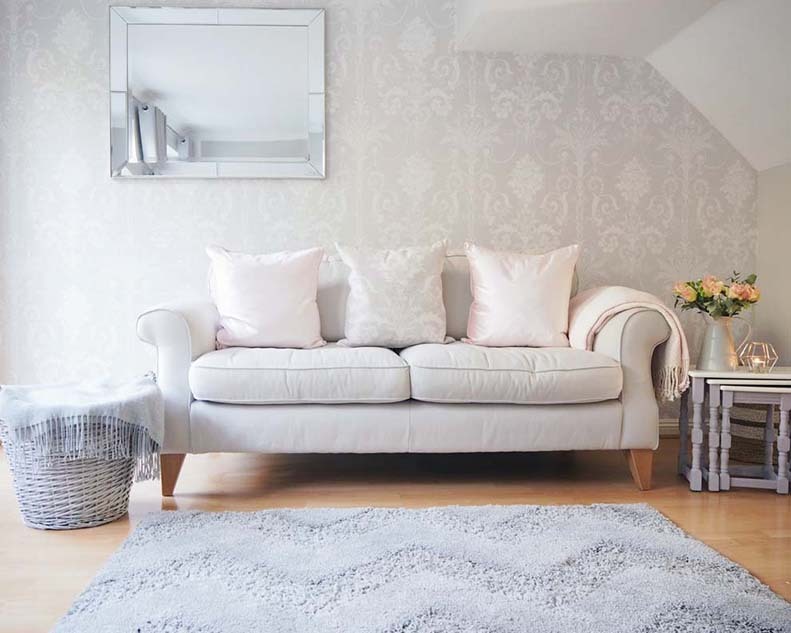 When designing our living room last year I instantly fell in love with the glamour of Laura Ashley’s Josette wallpaper. 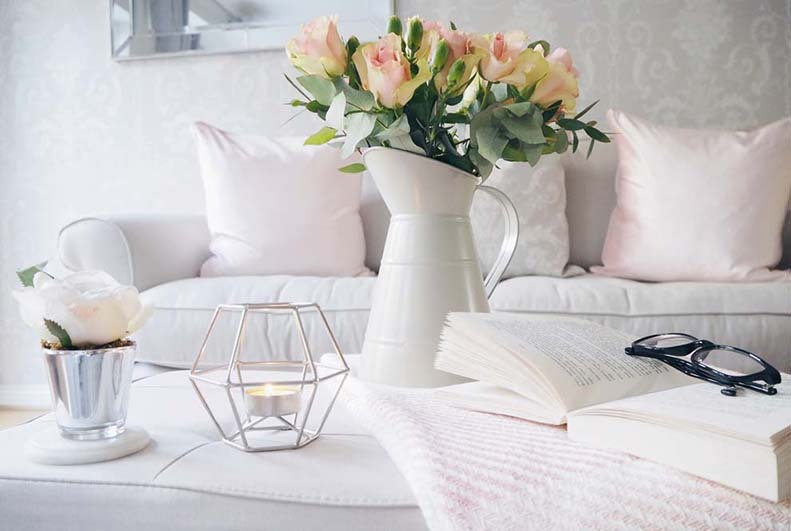 I wanted our living room to feel calm and cosy, but be modern and chic at the same time. I’m a true believer that accessories make a space, for me a sofa’s not complete without a scatter cushion or two! 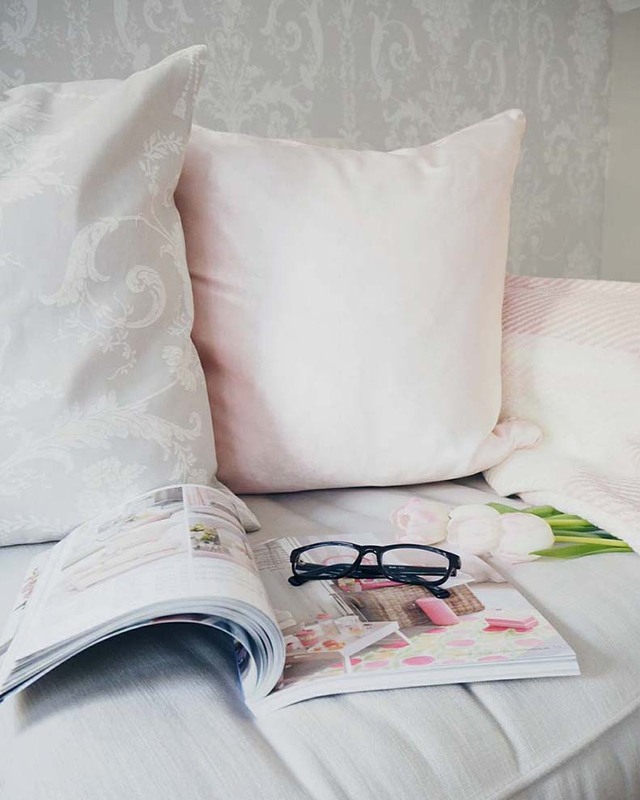 Soft furnishings are a great, cost-effective way to change up your style. With each season I love to add subtle pieces to refresh our home and bring it back to life. 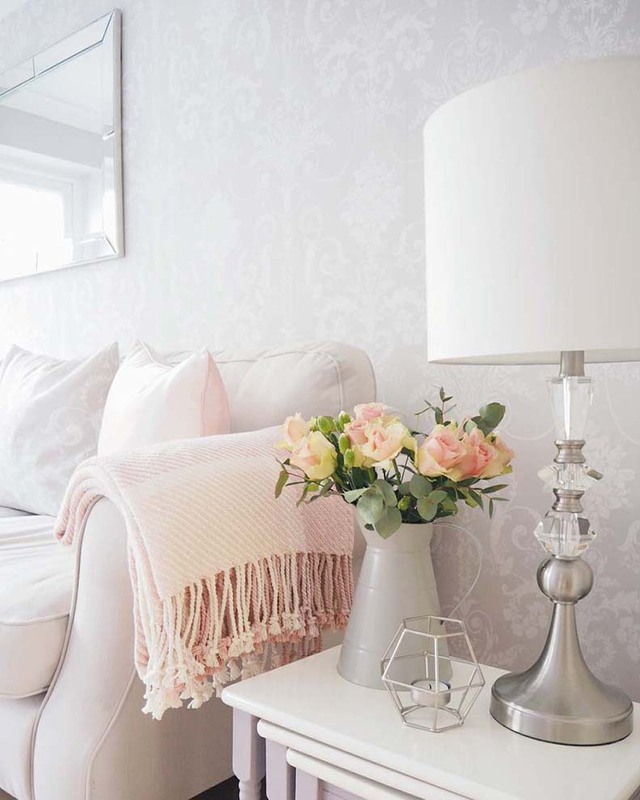 This spring I’m lusting over Laura Ashley’s In Bloom and Cool Grey collection. A stunning blend of pastel pinks and soft grey’s. To create a sense of spring serene in your home this season try adding a pop of colour. 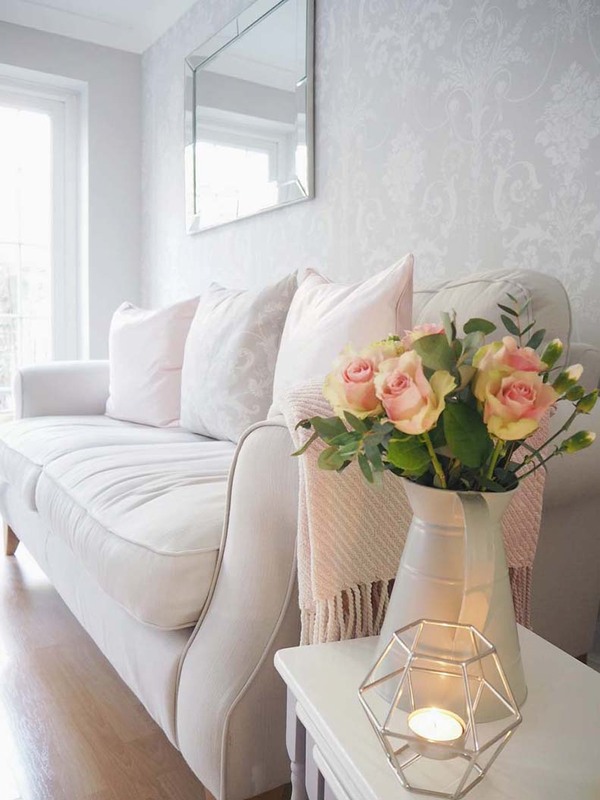 These shades of powdery pinks work perfectly to add a bit of uplifting warmth into the room. I wanted to add a little contrast against the grey so I opted for the Nigella Blush Square Velvet Cushion. 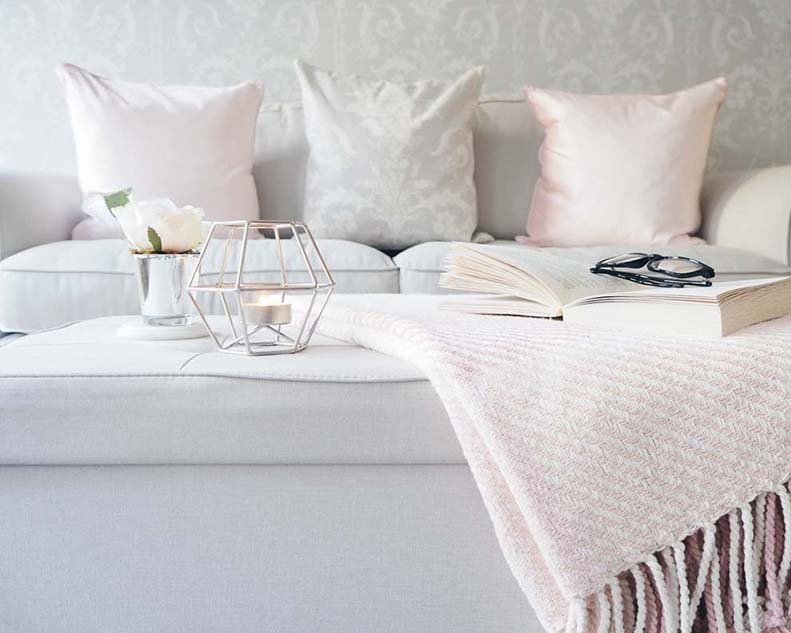 Another way to inject a little spring colour into your interior is with the addition of throws. Elegantly draped over the edge of a sofa or perfectly positioned over a storage basket to add texture and another dimension. This beautifully made, multi-tonal Dylan Blush Throw works so well with the blush velvet cushions. It’s also a stylish, handy way to wrap up and keep warm on those colder spring evenings. And last but by no means least are the all-important room changers, accessories! No spring makeover is fully complete without beautiful blooms. Artificial or the real thing, flowers bring the outside in, creating a fresh sense of uplifting life within any room. 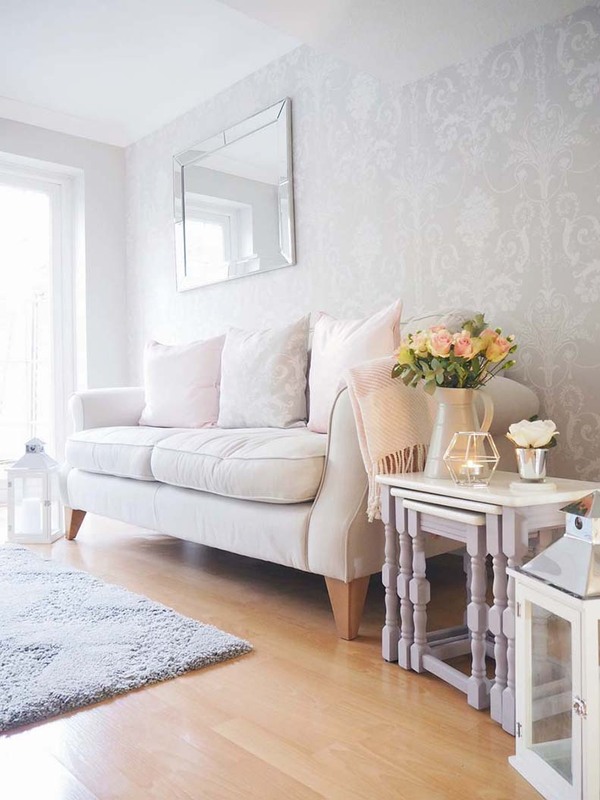 And there you have it, a Spring living room makeover in just a couple of minutes! I absolutely loved creating this look and hope you love our Spring makeover just as much as we do. Are you giving your home a spring refresh? Let us know how you are preparing it below or @LauraAshleyUSA. This entry was posted in At Home and tagged accent throw, accessories, Blogger, blogger home, blooms, blush cushion, blush throw, cool grey, cushion, damask, damask print, decorative cushion, decorative pillow, Design, dylan blush throw, faux flowers, floral arrangements, florals, flowers, home, home decor, in bloom, interior design, josette cushion, josette dove grey, laura ashley, laura ashley usa, life simply styled by me, living room, living room makeover, minimal color, nigella, nigella cushion, pastel, pastel pink, pink and grey, powdery pink, soft furnishings, soft grey, spring, spring decor, spring decorating, spring essentials, spring style, subtle pieces, velvet accent, velvet cushion, wallpaper. Bookmark the permalink.